The multimeter is a device that has many uses, but it’s frequently used to check the voltage of various automotive parts. It can be used to diagnose malfunctioning parts and offers very accurate readings. 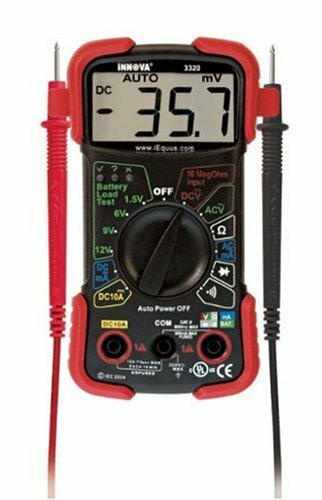 A multimeter is ideal for reading amps, bolts and ohms, so it’s perfect for reading a wide range of electrical values. The purpose of this electronic device is to measure the flow of electrical current across multiple terminals. Depending on the specific features of your model, it can even be used to measure the voltage flowing through many different electrical components. Although it might seem complex, a multimeter is actually very easy to use. In most situations, you’ll need to attach the meter’s positive and negative test wires to the terminals on the electrical component that you wish to test. A lot of people find the multimeter confusing because you have to set the dial for the correct settings for each specific application. If you’re looking for the best multimeter, we’ve selected the top 10 best multimeters on the market, so you can choose the model that fits your individual needs. For our first choice, we went with the Firekingdom Best-9205m. 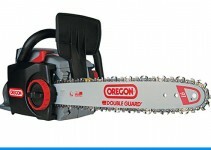 It comes with an integrated CMOS circuit and has an on/off beeping alarm function, which many other models don’t have. 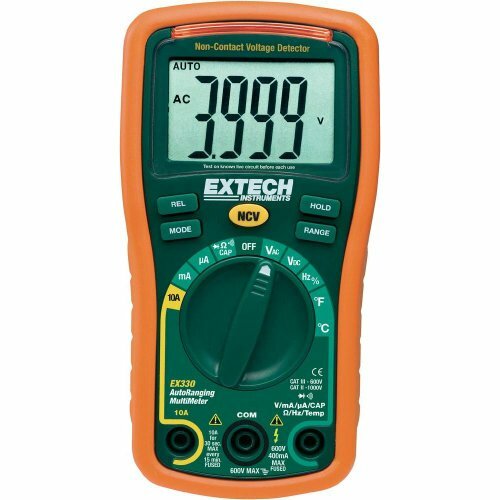 With a maximum display value of 1999, you’ll find this model sufficient for most electrical tests. The Firekingdom Best-9205m has a great capacitance range and delivers the accuracy that you should expect from a multimeter. The package comes with one battery, one certificate, one manual and two probes. It displays low voltage and even has a feature that prevents accidental shock. The display screen is large and provides accurate readings. This is one of the best multimeters for the money. The next product on the list is the Fluke 115, and it offers many featured that you’ll never get from cheaper models. However, you must be prepared to spend a lot more money for this model. The Fluke 115 lets you check diodes, capacitance, frequency and continuity, which cannot be checked with many of the cheaper multimeters. 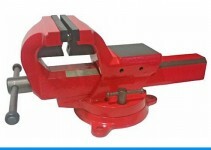 This particular model measures 20 A and uses True-RMS for accurate results. The True-RMS feature is especially great for increasing accuracy when measuring non-linear loads. Since the Fluke 115 is CAT III 600 V safety rated, you don’t have to worry about accidental shock. For easier reading in darker areas, it has a large white LED backlight. If you’re looking for an affordable, accurate multimeter, then consider the Flexzion Digital LCD Multimeter. To preserve battery life, it has an auto-shutoff feature. For easier reading, it uses automatic polarity indication. A continuity tester is built into the circuit and makes those difficult components easier to read. If you’re looking for an affordable digital multimeter and need to discover a part’s electrical current, this could be the perfect model for your needs. With a large LCD screen, the Flexzion Digital LCD Multimeter makes measurements much easier to read. It’s an excellent multimeter to have in the house when you need to gather technical data for a home repair. As a slightly more expensive model, the INNOVA 3320 does have a bit more to offer than cheaper models. It’s one of the best multimeters for automatic purposes, so if you need a multimeter for preventive vehicle maintenance and repair, then this could be a great product. Since it is UL certified, the INNOVA 3320 is ideal for accurately and safely diagnosing a wide range of electrical and automotive issues. With auto-ranging scales, the INNOVA 3320 eliminates the need to dial in the applicable range while measuring electrical current. It uses color coded LEDs and features a huge LED display. The bright LEDs will even tell you how much battery life the device has left. For easier reading of DC and AC voltages, there is a single-setting resistance function. You don’t even have to worry about dropping this product because it has protective rubber corner guards. One of the best multimeters for convenience is the Fluke 323. It can measure up to 400 amps of AC current or 600V of DC voltage with its special clamp. If you ever find yourself measuring non-linear loads, the Fluke 323 is perfect for the job because it uses True RMS sensing. In other words, it provides readings that are more accurate for non-linear loads. The jaw opening can measure the current inside of a conductor while never interrupting or touching the circuit. An audible continuity sensor lets you know that the circuit is conducting electricity. The Fluke 323 is a versatile unit because it’s rated for a wide range of electrical applications. The one multimeter to rule them all is the Fluke 87-V. Although it’s made from plastic, it’s an extremely durable product. For maximum flexibility, it features manual and auto ranging. 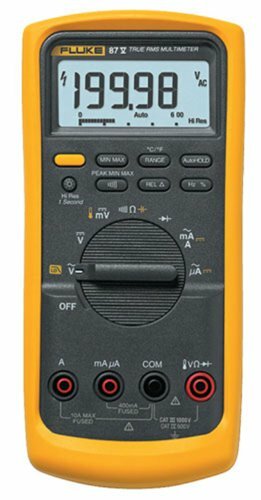 A great feature that the Fluke 87-V has makes it much easier to read unstable or fast changing electrical signals. The analog bar graph allows you to read fast currents that many other multimeters cannot read. It has selectable filters, so you can read accurate voltage. An input alert jack produces loud warnings when you’re using the wrong input jacks. Fluke meters are regarded as the best meters on the market. The Fluke 87-V lives up to the name and delivers unmatched performance. A great model for electricians is the Fluke 117. Unfortunately, it doesn’t include a holster, but it delivers all of the other features that you could want from a multimeter. Like other multimeters, it uses True-RMS technology to make reading non-linear loads much easier. The large LED screen is very easy to read and has white backlighting. It’s an ideal multimeter for commercial applications, and it’s especially useful for demanding settings. 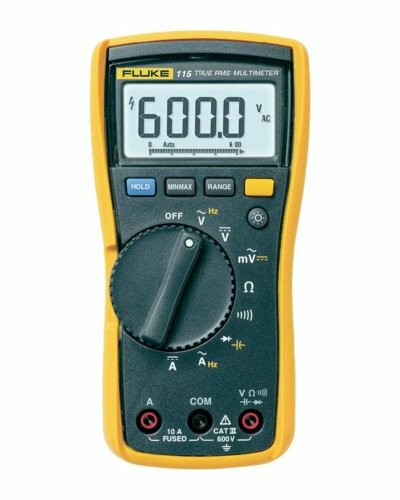 The Fluke 117 provides the richest feature set of the Fluke line of multimeters, and although it’s quite small, it doesn’t lack any important features. 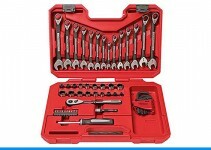 Overall, it’s a great model for electricians but can work well for any application. 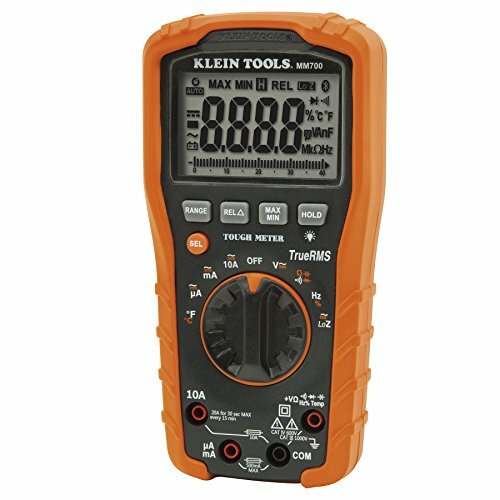 Although not nearly as well-known as Fluke, Klein Tools produces quality multimeters, and the MM700 is a great example. It’s one of the best multimeters that you can buy for troubleshooting electrical problems. The MM700 excels when used for household and industrial equipment. You can use it to measure the electrical current flowing through wiring systems, power supplies, domestic appliances, motor controls and other types of electronic equipment. It can be used to measure AC and DC voltage and provides very accurate readings for resistance and DC current. It comes with a CAT IV 600V Safety Rating and is built to withstand a 2 meter drop and daily wear and tear. 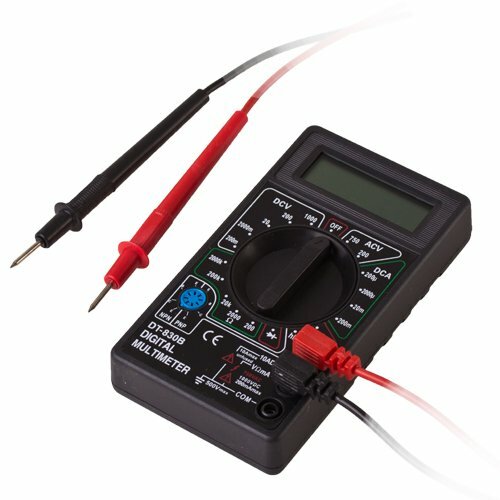 The Mastech MS8268 is a great product if you’re looking for a cheap digital multimeter. It uses an audible sound to let you know when the banana jacks aren’t being used with the correct setting. To provide better flexibility, the Mastech MS8268 lets you choose between manual and auto ranging. If the need arises, it allows you to reset certain ranges, and to preserve battery life, it has a built-in auto-shutoff feature. Despite its low price, this particular multimeter doesn’t feel cheap. A pair of ergonomic grips makes it easier to hold and prevent accidental drops. One of the only downsides is the slowness of the auto ranging feature. 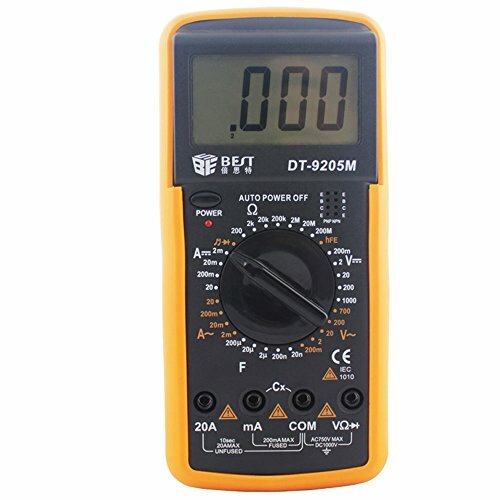 However, for the price, you’ll see that this digital multimeter has plenty to offer. Another top product is the Extech EX330. With a built-in, non-contact AC voltage detector, you’ll find measurements are much easier to take. 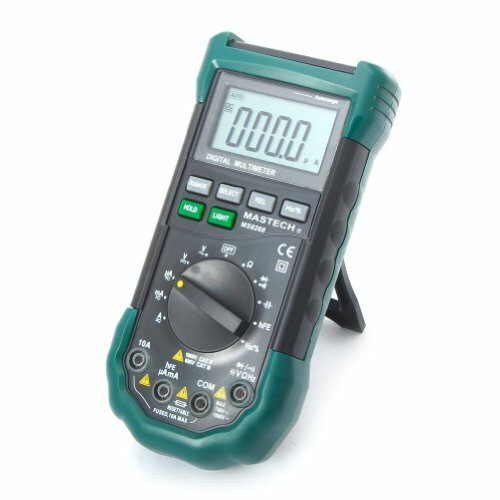 The 4000-count auto-ranging multimeter makes it easy to measure DC and AC voltages, duty cycles, frequency and resistance. The Extech EX 330 even has a built-in thermometer, so you can read temperatures. You won’t find many other multimeters that have this capability. A rubber holster protects the meter from accidental damage and lets you safely store it away while it’s not in use. The Type-K temperature probe lets you measure the temperature of many different components, which makes troubleshooting much easier. The thermometer probe is especially handy for measuring temperatures inside of a bathroom ceiling fan. With the relative function, you can compare live measurements with stored reference values. The Extech EX330 is even perfect for testing the AC wall outlets inside of your home. Overall, this multimeter delivers great value for the money, and with the bonus temperature probe, you can test the safety of household appliances and prevent a fire from occurring.